A code red alert level for aviation has been issued this week on Hawai’i’s big island, as Kīlauea volcano continues its explosive activity at the summit. But Kīlauea has erupted before, and just as today its violent activity attracted the crowds. The challenge for authorities is to balance that curiosity with the safety of people on the island. The observatory warning said there were reports of an ash cloud reaching heights of up to 3.5km above sea level. Ashfall and vog (volcanic air pollution) have been reported almost 29km downwind of the summit. There were also reports of new fissures erupting lava into new areas furthering the extent of the damage. A lava flow from one of the fissures moves on Makamae Street in Leilani Estates on May 6. Kīlauea is a majestic and beautiful volcano. Native Hawaiians and Hawai’i residents who live on her flanks speak of her beauty with a healthy dose of respect and awareness of the constant threat of eruptive activity and destruction. Kīlauea’s eruptive activity this year began in early May in residential areas on its east flank, about 35km from the summit. A new fissure erupting from Luana Street, Leilani Estates subdivision on Kilauea Volcano’s lower East Rift Zone near Pahoa, Hawai’i, May 5, 2018. The eruptive activity has captivated us for days. Spectacular fountains and rivers of lava have been emanating from volcanic vents, together with the tragic destruction of property and livelihoods. This devastation led to President Donald Trump’s declaration of a “major disaster” on the island. Crucially, residents are safe, but those who have visited Hawai’i or with similar experiences of destructive natural hazard events will be sad to see pictures of this devastation. At the same time, and away from the current eruption on the flank of Kīlauea, another crisis is unfolding at the volcano’s summit. Kīlauea Volcano hosts the Hawaii Volcanoes National Park at its summit, which is now closed to all visitors because of the hazard. It may seem odd that at a distance of more than 35km from the active spattering and lava effusion on the eastern flank of the volcano, volcanic hazards pose such a significant risk to warrant the closure. But Kīlauea is up to its old tricks again, possibly replicating activity seen last in 1924 which led to a variety of violent and sporadic explosions, dispersing volcanic ejecta around the summit and killing one visitor. A crowd of visitors view the eruption plume from the front of the Volcano House hotel. They were subsequently warned by Ruy H Finch, acting director of the Hawaiian Volcano Observatory, that it was unwise to remain there. The decision to close access to the summit is driven by current monitoring data, and crucial past experience and knowledge of Kīlauea’s violent behaviour. 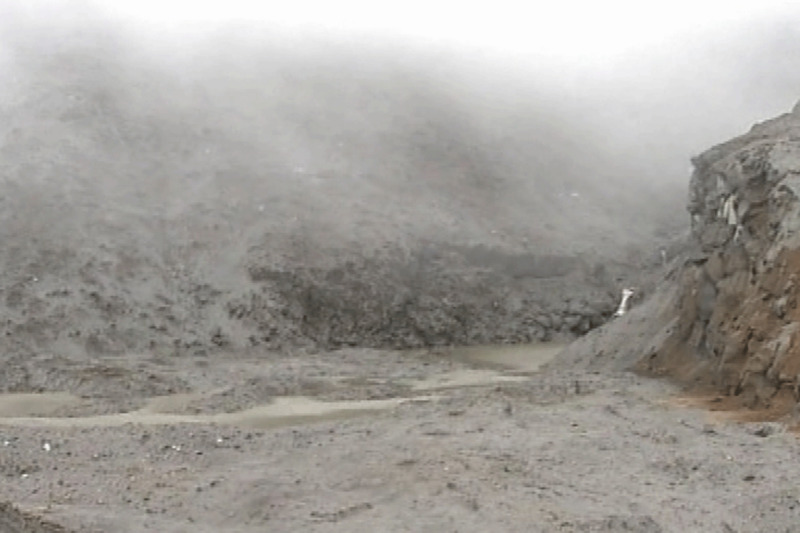 Over the past week the mesmerising convecting lava lake that has resided at the summit for a decade is no longer. Magma has evacuated to depths greater than 285m into the deeper magma plumbing system. The summit lava lake has dropped significantly over the past few days, and on May 6 was roughly 220m below the crater rim. 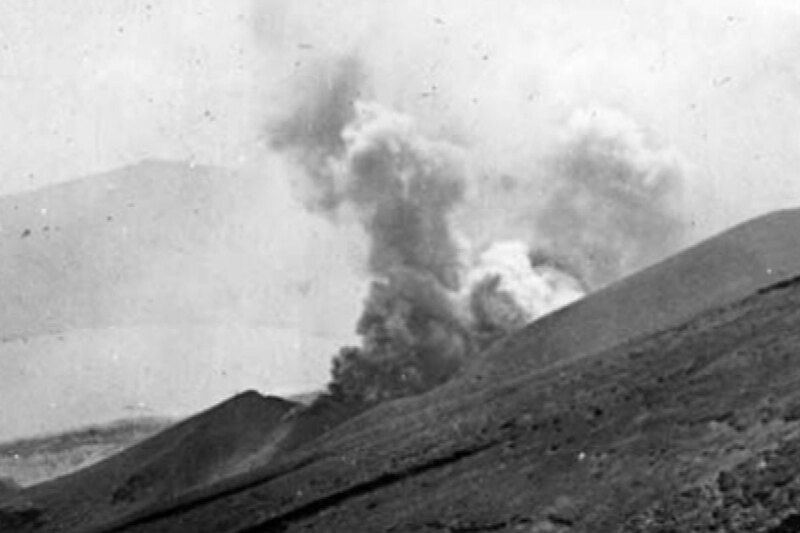 The last time that happened – in 1924 – it explosively interacted with groundwater at depth, producing violent, sporadic eruptions and a visitor fatality. This block was thrown out during an explosion at Halema‘uma‘u crater on Kīlauea on May 18, 1924, and landed about 600 meters from today’s rim. Hazards from violent explosive activity at Kīlauea’s summit are substantial. Magma and water interactions are highly intense and violent – think hot oil in a frying pan mixing with cold water. Eruptions are likely to have very little or no warning, and the “how big” and “how long” are impossible to predict. Civil Air Patrol flight CAP20 reported plume tops at about 2.9km with the dispersed plume rising as high as 3.5km. Residents on the fringe of the national park are not in life-threatening hazardous conditions. But they are susceptible to the annoying “ash problem” where ash accumulation on electricity infrastructure interrupts supply, contaminates water, causes health hazards such as throat and lung irritation, and damages crops. This will have complex social, health and economic impacts, further devastating communities if the summit activity does begin and is long-lived. Society’s fascination of volcanic phenomena and the curiosity-driven need of people to know more, see more and experience more will make the safe management of the millions of tourists each year in the Hawaii Volcanoes National Park a significant challenge. Nearly 50km of bumper-to-bumper traffic to view the 1959 eruption of Kilauea testifies to the impending management issues. Bumper to bumper traffic on the way to see the eruption in 1959. Exclusion and access will be an important and potentially long-lived management issue as the geological rock record at the summit tells a story of violent, centuries-long explosive activity. Kīlauea is not a gentle giant of a volcano. It has a long-lived and violent explosive history as determined from detailed geological investigations of volcanic rocks and ash layers in the rock record. The last period of violent explosive activity was between the years 1500 and 1800, when magma frequently interacted with the groundwater table deep within the volcano. During those three centuries of activity, Kīlauea’s summit produced around 10km high columns and umbrella clouds of volcanic ash, short-lived violent explosions and ballistic ejecta, and ground-hugging high-velocity currents called pyroclastic density currents, which destroyed everything in their path. This period is not without observation. Native Hawaiians were within the summit area and in 1790 at least 80 Hawaiian warriors were killed in a devastating hot, high velocity explosion that seared their lungs. Kīlauea is one of Earth’s most well studied volcanoes. It has been the site of an active volcano observatory since 1912, and current monitoring technologies are state-of-the-art. Always a crowd pleaser: Visitors observing the Halemaʻumaʻu eruption in Hawaii Volcanoes National Park in 2017. 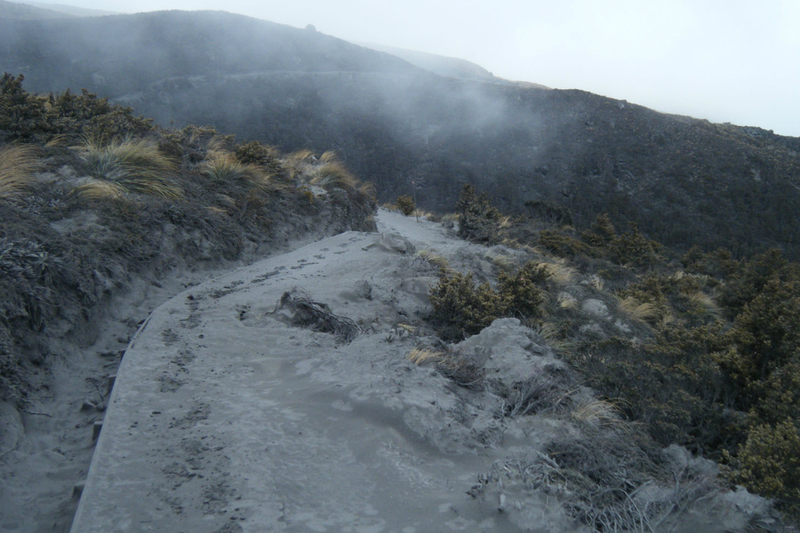 Volcanic behaviour is by its nature complex. Prediction of the exact when, duration and how big is riddled with uncertainty despite sophisticated monitoring technologies. As such, disaster management challenges are numerous, but observational records in 1924 and the geological rock record have certainly provided early warning of the timing, type and duration of possible violent activity at the summit, and therefore the protection of people within the national park.